5.Size: 5.3 x 3.2 x 0.7 inches. 12.Key life: more than 15 million times. 13.Whether to support plug and play: support. 14.Comfortable keys makes you feel the same as laptop. 15.It is fashionable and has long life with the signal light, for business office home using. 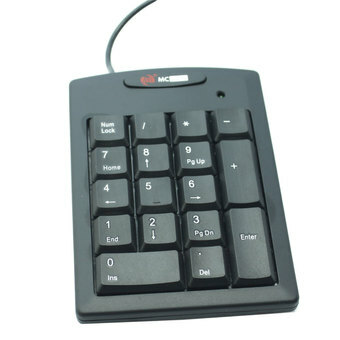 16.Ergonomic design and new mini responsive 17-key number keyboard makes you operates smoothly.